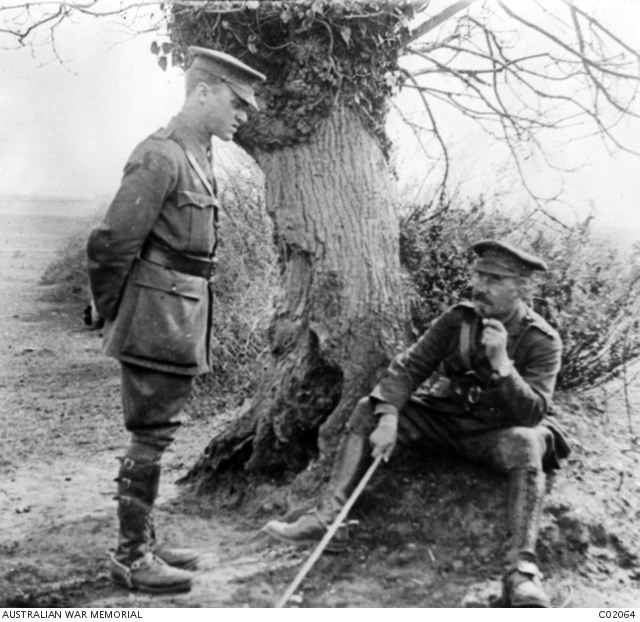 Informal portrait of two 61st Battalion officers at a camp in southern England. 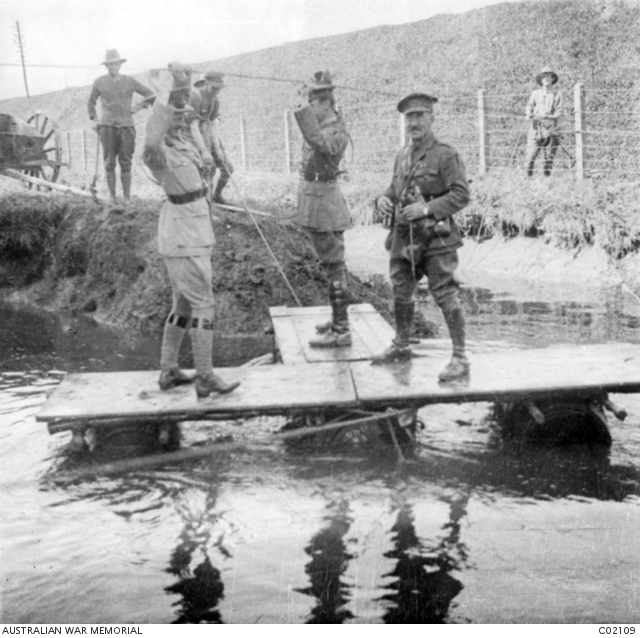 Identified left to right: Captain ; Lieutenant Colonel William Kenneth Seaforth Mackenzie, DSO, Officer Commanding. 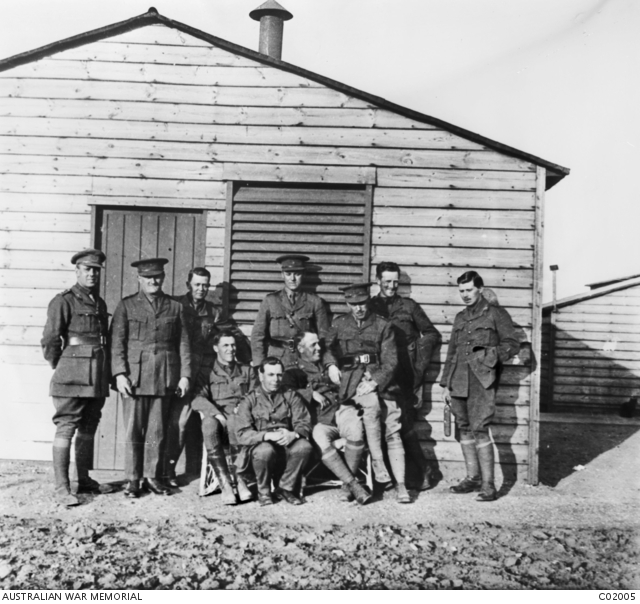 Group portrait of 11 officers from the 61st Battalion. Identified left to right (back row): Lieutenant (Lt) Wilfred Hardley; Lt Keith Bayley; Lt Alfred Gordon Farleigh, who was killed in action on 22 August 1918; Captain (Capt) Arthur Havelock Hirst; possibly Lt Roy Milton Wilson; Lt Clifford Lister Sturt. 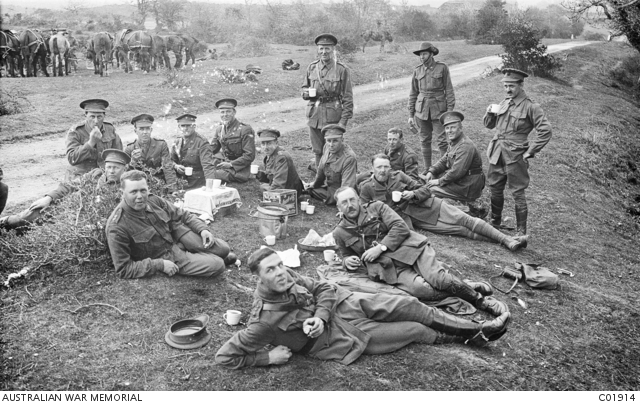 Seated: Capt Bernard Brooks Blomfield, Australian Army Medical Corps (AAMC); Lt William Richard Coombs; Capt Frederick William Roberts; Major Harold Jacobs. My grandfather F W Roberts is situated second from right on his haunches !